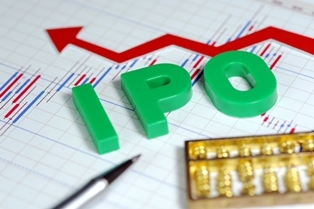 There are 12 new IPOs this week, a sign that numerous companies were waiting until after the massive Alibaba Group Holding Ltd. (Nasdaq: BABA) IPO to hold initial public offerings of their own. This week, the largest offering is the $1 billion deal of Fairmount Santrol (NYSE: FMSA) which will begin trading on Friday. But that's not this week's only large deal. The rest of this week's deals are expected to raise a combined $2.2 billion. Fairmount Santrol (NYSE: FMSA) provides oil and gas companies with sand and sand-based products. FMSA will be the biggest of this week's new IPOs as the company looks to raise $1 billion. Fairmount will be offering 44.5 million shares at a range $21 to $24 per share. In the last year, FMSA had revenue of $1.2 billion, and the company is expected to have a valuation of $4 billion. FMSA is expected to begin trading on the New York Stock Exchange on Friday, Oct. 3. VWR Corp. (Nasdaq: VWR) is a supplier of general and specialty laboratory equipment to life science and general research companies. Through its IPO, VWR is looking to raise $600 million by offering 25.5 million shares at a $22 to $25 range. VWR is expected to have a market value of $3 billion, and the company had $4.3 billion in revenue last year. Shares of VWR will hit the market on Thursday, Oct. 2. Vivint Solar Inc. (NYSE: VSLR) is a provider of residential solar energy systems and is a spin-off of the Blackstone Group. Through the initial public offering, VSLR is looking to raise $350 million by selling 20.6 million shares at a range of $16 to $18. In the last year, VSLR had revenue of $14 million. Following the IPO, VSLR should have a market cap of roughly $1.9 billion. VSLR stock will begin trading on the NYSE on Wednesday, Oct. 1.